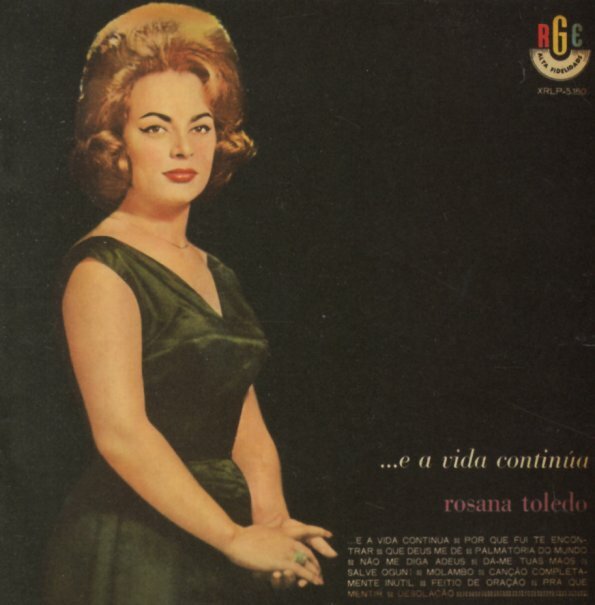 Rosana Toledo's got some mighty hefty hair on the front cover – but the album is much less stiff and formal – as the singer really taps into her emotive depths throughout – showing us that although life goes on, as promised by the title, it's not without its melancholy moments! Arrangements are relatively full, with light percussion underneath larger orchestrations – all handled by Maestro Nelsinho, on titles that include "Nao Me Diga Adeus", "Salve Ogum", "E A Vida Continua", "Porque Fui Te Encontrar", "Desolacao", "Pra Que Mentir", and "Feitio De Oracao". © 1996-2019, Dusty Groove, Inc.